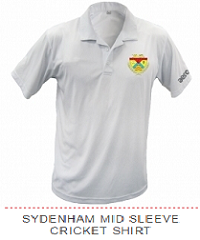 The Sydenham Cricket Club is one of the oldest cricket clubs in New Zealand and was officially founded in 1895 but our heritage in other forms dates back even earlier. 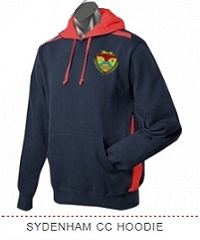 We are the largest senior cricket club in the South Island with 12 Senior Mens and Womens teams, five Youth teams, 39 Junior teams, and over 650 registered members. 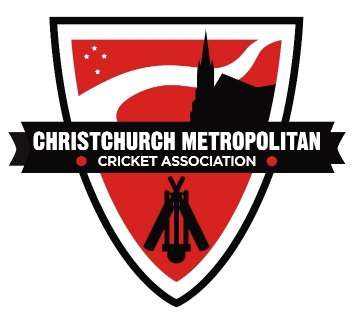 We are a "Premier" club operating in the Christchurch Metro Cricket Association competition and based at Sydenham Park in beautiful Christchurch in the South Island of New Zealand. The latest CMCA newsletter is available on their website (https://mailchi.mp/15063be54148/cmca-newsletter?e=390d81610b). 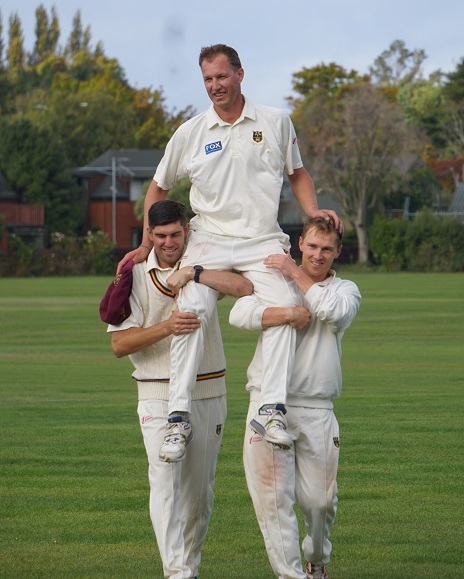 Make sure you read all the latest from Christchurch Metro Cricket. Congratulations to all the winners and thank you to everybody who supported this raffle by buying a ticket. The final Saturday of the season went exactly the way you want to remember the season over the winter, a massive performance from the Premier men, a victory to the ladies, and two competition wins down the grades from the Goats and Cardinals. Behind on the 1st innings by nearly 300 runs with only three wickets left in hand in that innings, the 2nd day for the Prem men was all about looking for redemption for a batting unit that has had a horror run since Christmas – as it turned out, what actually happened might be better described as a “resurrection”. 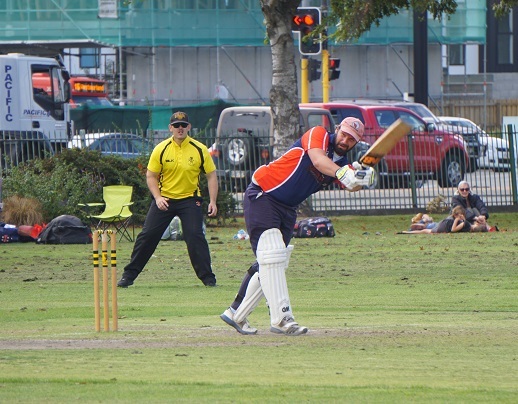 By the start of the 2nd day the numbers had been crunched, if BWU were able to beat Sydenham by an innings on the day they would take out this season’s 2-day title. 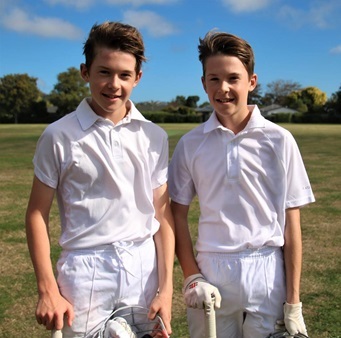 The Burnside boys were well motivated and bowled their hearts out all day. It was an encouraging start to the day but the 130 all out was still 233 runs behinds BWU’s first innings with 30 minutes still to bat before lunch in the 2nd innings as Sydenham were asked to bat again, and with all afternoon available to BWU to bowl us out for under that 230 lead and take the title - on form, few independent observers would have backed Sydenham to do that, fortunately the Sydenham team did. In the reply, Matt Day was unfortunately lost off the second ball of the innings which then brought together Chad and Ryan Wallace. 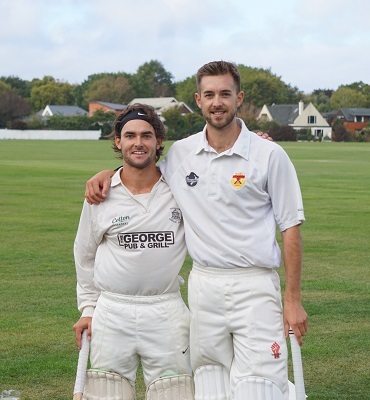 The two South African best mates worked out the conditions, modified shot selection as the innings progressed, and later walked off together having saved the match for their side. 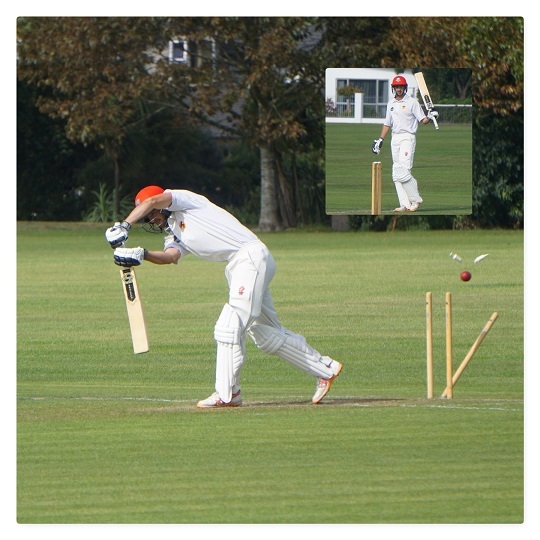 When sides get the now unfortunately rare opportunity to play their Canterbury players, there is no guarantee of a performance – cricket is a game of millimetres. But Chad is one player who never lets his standards drop and his club down as he always treats his club opportunities seemingly as seriously as he does his representative responsibilities. Well set from his 1st innings experience Chad never put a foot wrong in the 2nd, and after manoeuvring through the first 6-7 overs, frankly always looked to have a century looming. But Ryan Wallace was another story. 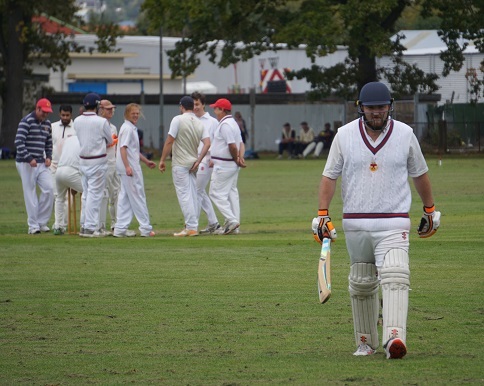 The Club Player of the year last season was having a lean run since Christmas, but everyone knew the class of the man and were quietly willing him on each innings for a turnaround – it came with a vengeance in this match. He started well, but for a while when Burnside had initiated an obvious legside attack into the rib cage, and he started pull at the ball, it looked like a tactic that may pay off. 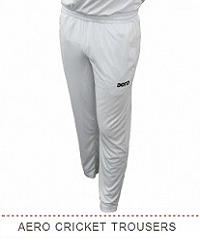 But he adapted, starting leaving, and ultimately regained control to an extent that when the match was well saved, he was coming down the wicket to the spinners to take boundaries through long-on and off. Talk about a resurrection, Ryan Wallace in complete command at Burnside Park. This was the second master class of batting on the day with hardly a half chance given between them throughout the innings. It was something that even a Canty Metro official passed the comment that hopefully the young players at the ground would be watching closely and learning form, not just our own players, but the BWU Championship team that were watching the match having just won their competition and vigorously supporting their Prem team from the boundary. 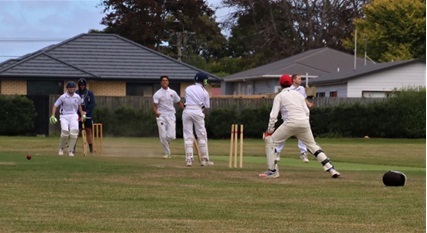 Indeed the only sad aspect of the day was for the Burnside lads – they are a great club and a bunch of young players who bowled their hearts out on the day trying to get the result which would have been a fitting farewell for their veteran Scott Inglis who was playing his final career match. 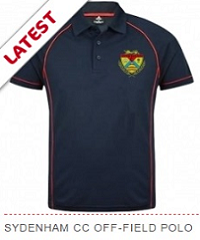 But by the end of the innings when the match was called off just after 5pm with Sydenham 240-1, the Burnside bowlers had given their all and were out on their feet – they would have been worthy winners of the title, but it was just not their day. 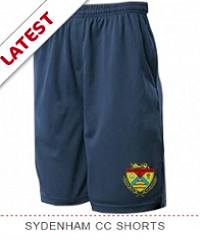 The Div 6 All Stars – no match details available. 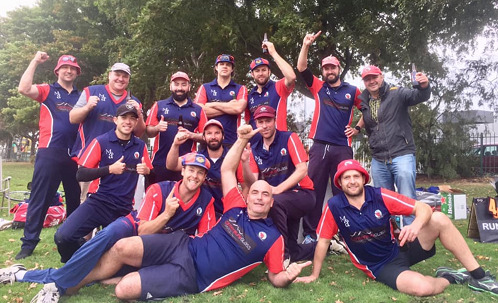 It was another competition win for Jamie Livingstone’s Cardinals team as they took out the Div 6 title. Always the early leaders in the competition, the result had started to look in doubt when availability seem to be tougher after Christmas and they were at times scrambling for a side. However, it all came down to Saturday and the need to beat New Brighton on Sydenham 2 which the duly did. Batting first the Cardindals scored 180-7 off their 40 overs thanks to Camerson Rennell (40), Kieran Williams (37) and Ben Larter (38*). Any thought that New Brighton would challenge that total were quickly extinguished when Chris Cooper in his last match before leaving Sydenham for a new life in Australia picked up two early wickets, then Sam Perry picked up the two best NB batsmen to ultimately see NB out for 68 and the title in the Cardinals hands. 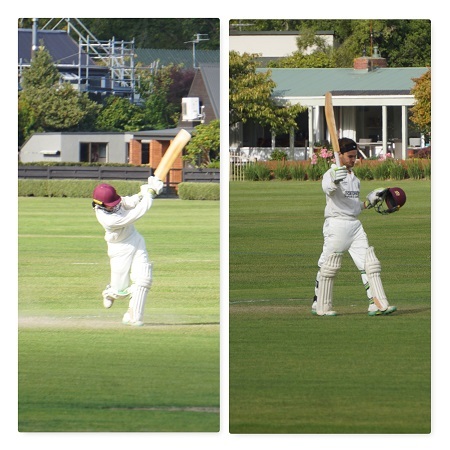 The T20 Womens Stars had a good win in their final match as well playing Heathcote at Ferrymead Park. Erika Oda (60), Hannah Morrissey (25) and Boadicea Lynch (4) were the main contributions to Sydenham’s 143/5 first up, with Sydenham then restricting Heathcote to 126/4 (Jaimee Cartwright 2-27). 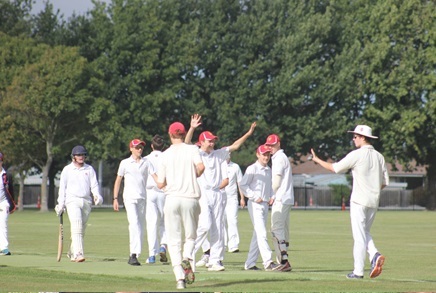 Sydenham Youth 1st XI commenced the second day of their 2 dayer against St Bedes 2nd XI expecting a big chase on the final day, as St Bede’s had a 165 lead with 6 wickets remaining at the start of play. Despite a brisk start from the opposition, Sydenham managed to bowl well and take the final 6 wickets for just 65 runs, leaving a chase of 231 off 80 overs (Joseph Wells 4/25 off 10 and Ollie Smith 2/48 off 9). Ollie Smith looked composed at the top of the order with a well compiled 31 runs but the rest of the top order struggled and another low total looked ominous on Ollie’s removal with the team score on 51/5. However St Bede’s began to feel the pressure as a fantastic 6th wicket 118 run partnership between Daniel Watt, 76 & Liam Jenner, 49 (both personnel best scores) maintained a steady run chase and an upset seemed within reach. Archie Goodrick provided a further push at the end with a quick 17 runs, but unfortunately Sydenham were eventually dismissed 27 runs short. So this game followed many others for the first part of the season as Sydenham were very competitive with even the top teams, with many ‘close but no cigar’ results. However all the boys had their moments with good personnel bowling or batting efforts over the past few months and we look forward to this coming together in the one-day comp later in the year. With first innings under their belt STAC leading by 62 runs at the start of day 2 early wickets were key in not having a huge total to chase for the overall win. 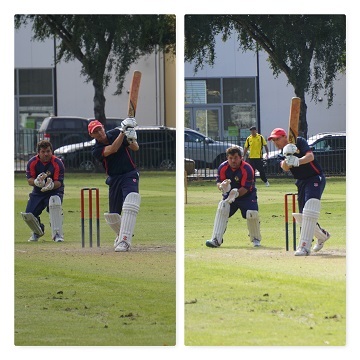 Jamie Ehau 3/27 off his 8 overs and Issac Milne 3/24 off 13 overs were once again the spare head of the bowling attack and a very tidy 8 overs for 11 runs from Toby Hull helped dismiss STAC for a total of 131 half an hour before lunch. The openers were given 20 mins to hold out before lunch but Dallas Crowe fell on the last ball before the break. Issac Milne batting at 3 stepped up with a quick fire 23 as well as Toby Hull 20 and Charlie Hickey 26, things seemed comfortable with the score on 90/3 before the wobbles set in and the score on 127/8 Archie MacDonald pulled one through mid-wicket for 4 to tie it up and left it for his twin Jack MacDonald to hit the winning runs. Unfortunately, the 2nd Grade team finished the first half of the youth season with a bye. The 9/10 Team batted first on the polo fields in Hagley Park in their match against a very strong North West Colts Team. At 50-2 after 9 overs the team were well placed to build a competitive score with Henry Cuthbertson, batting at no.3, and Callum Wright building a nice partnership. 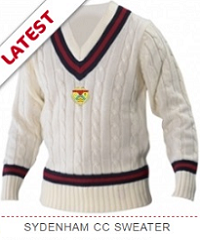 Regular wickets then started to fall and the team were eventually bowled out for 118 after 25 overs. The Northwest wicket was taken with the first ball of their innings, and the second when they only had 8 runs on the board. Mini-partnerships saw their score build to knock off the winning runs after 25 overs for the loss of 7 wickets. The Year 9A team played St Bedes Red on a spongey, green but nicely rolled pitch at Halswell Domain no.2. St Bedes won the toss and asked Sydenham to bat. It was a tricky morning for batting and wickets fell in regular succession, with the highest score only 12 not out by Alex Boot. Sydenham were all out in the 32nd over for 72. In the batting, Sydenham got two early wickets to have St Bedes at 15 for 2 after 7 overs. 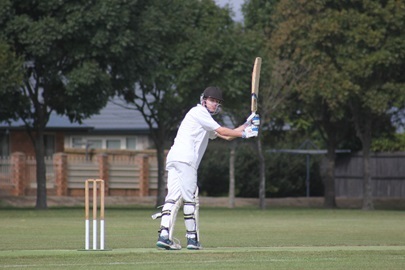 Sam Crossland bowled 4 overs and finished with 1 wicket for only 4 runs (3 maidens). St Bedes then took the game away with excellent aggressive batting and the boundaries started to flow. St Bede’s reached the target of 73 in the 12th over for the loss of only two wickets. 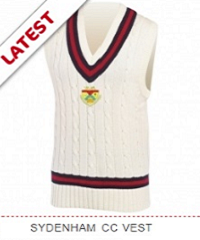 The latest Beyond the Boundary newsletter is now available to read.